Need a chain link fence for your home or business? We can help. As a family owned business, Hohulin has worked in the fencing industry for well over a century. Founded in 1897 by Sam, Tim and John Hohulin, sons of Gottlieb Hohulin, we were the first to commercially manufacture chain link fence fabric in this country. Today, we carry on that mission of quality. In fact, we have served Illinois for more than 120 years with exceptional fencing, backed by superior craftsmanship and products. If you need chain link fencing for your home or business, we are your first call. 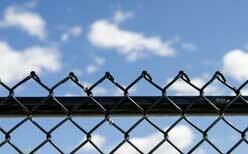 Choose from chain link fences for commercial use and residential use. Based in Goodfield, we service surrounding communities such as Bloomington and Decatur. 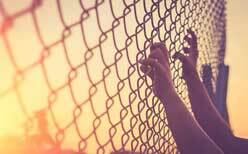 We offer the chain link fence Champaign IL needs. Hohulin Fence is proud to offer a variety of options to our clients, from residential to commercial chain link fencing systems. All fences are made in the USA and we stand behind them all. Likewise, our commercial chain link fences are also made in the USA of the same materials as above. They represent a practical, economical solution for any business, providing property delineation and security. They can be used for prisons, parks, batting cages, industrial plants and much more. Offering different colors, styles and grades, we can custom tailor these fences to your needs. Take our athletic fencing, for example. It’s designed to enhance the safety of players and onlookers during games or practice. To learn more about our chain link fences in Champaign IL, contact us at 217-655-9631. You can also email us at info@hohulinfence.com. In conclusion, we are located at 116 South Harrison Street in Goodfield, IL for your convenience.